Let us examine the physics of love. 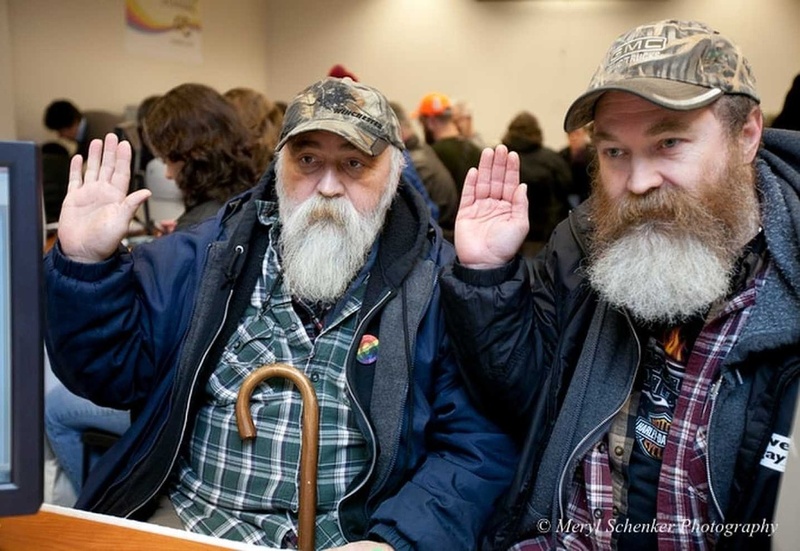 What if there were a scientific basis for the concept of "soul mates"? What if there were a measurable, repeatable, mechanism for determining true love—or the potential for true love, at least? Something more reliable (and easier) than those compatibility tests websites like Chemistry.com like to make you take? Something that could be done with, say, a few electrodes and some graphs? Amazingly, there may be. Dr. Gary E. Schwartz, in his book The Energy Healing Experiments, has put the power of scientific method to determining how humans can direct energy to each other; and a side discovery has led me to theorize that there is a measurable, energetic basis for the emotion we call romantic love. To understand what I'm talking about, we should take a very brief refresher of fifth grade science regarding magnets and magnetism…and a concept called "fields". Fields are patterns of forces that exist all around (and through) us. The field with which you are most familiar is the gravity field of Earth. It's what keeps us all from floating off into space. It's always been here (at least, as long as Earth has been) but until that apple fell on the head of Isaac Newton, no one had actually considered that the force we call gravity had to exist within some sort of framework. That framework is a field. At the center of a field lies the thing that generates the force; in the case of Earth's gravity field, that would be the mass of the Earth itself. One of the characteristics of a field is that we cannot see it. We can only see its effects, such as the acceleration of a falling apple to the ground (or a mathematician's head). Fields aren't just for gravity anymore. For example, you've heard of magnetic fields. Again, the field itself is invisible but you can see its effects, for example nails attracted and sticking to the poles of a magnet. However, there is a way we can sort of see a magnetic field, through its effects on a mass of iron filings. If we put a magnet beneath a sheet of paper or cardboard or glass, the magnetic lines of force pass through the sheet; and if we put iron filings on top of the sheet, they will line themselves along the lines of force, effectively giving us a picture of what magnetism looks like. Of course, fields are three-dimensional, and the iron filings can only demonstrate a two-dimensional slice of the magnetic field. Still, we're used to 2-D representations of 3-D realities (on our TV screens, for example) so it's easy to use this as a springboard to a mental image of the real thing. Now, returning to gravity for a moment, let's consider that Earth is not the only massive object in the Solar System. There are also the Sun and the Moon, for example. Each one projects gravitational lines of force. But those lines aren't straight, because each object affects the others. The Moon, for example, attracts objects on the Earth to some degree, which causes the tides. The Sun, farther away, has a lesser effect but it also impacts the tides, noticeably, and all other objects on Earth, if less noticeably. We can only infer the impact of each gravity field on the others mathematically, by observing and then calculating the movements of the planets. 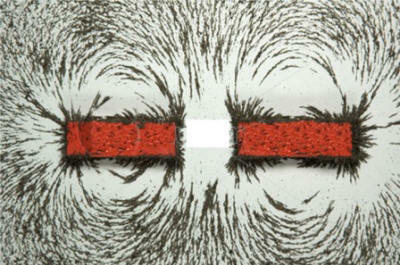 But with iron filings, it's easy to demonstrate the impact of adjacent magnetic fields set up by two or more magnets. Now, you might remember from that fifth grade class, that electricity and magnetism are closely related—so close that, together, they are referred to as the electromagnetic force. Wherever you have moving electricity, there is magnetism; wherever there is a moving magnet, there is electricity. This is, in fact, how electricity is generated: Wire is wrapped in a loop around a magnet attached to a rotor; when the magnet rotates, electricity is generated in the wire. The ends of the wire basically end up in your living room where they power your lamps or TV set. You may also recall that your nerves, the cells of your body that carry signals from the brain to your muscles, do so by moving electrical signals. So it won't surprise you to know that the human body (and every animal and plant body) has a magnetic field. And if you think about it, you'll realize that the biggest, most energetic component of the body, the heart, generates most of that magnetism. There is no controversy to this fact. There are two ways of measuring the activity of the heart: The EKG (electrocardiogram), which measures the electrical waves generated by a beating heart as carried to the skin, and a biomagnetometer recording from multiple sites, with the signals amplified by a superconducting quantum interference device (SQUID for short). 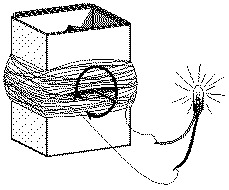 Electricity needs a conductor, such as human tissue; but magnetic fields continue outward forever, weakening with distance to be sure but nevertheless expanding at the speed of light, outward into the Universe. And remember that magnetic fields, when passing through moving conductors (like the nerves of someone standing near you, induce matching electrical currents. Thus every beat of your heart (and mine) has a real if miniscule effect on everything in the Universe—but especially on people who happen to be near you (or me). And the closer they are, the stronger the effect is. 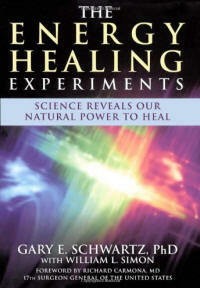 This has been proven by experiments detailed in Dr. Schwartz's book. An intuitive understanding of this may be why people hug. When we hug, our hearts are as close to that of the person we're hugging as is possible without vivisection. The pulsing magnetic fields of each heart affects the other. I've done a lot of hugging in my lifetime. I've hugged people I loved romantically, platonically, parentally, and not at all. Yet, rarely, hugging has caused me to feel a special, well, vibration is the best I can describe it, that ran from my collarbone to my groin. Please note I have felt this effect without necessarily falling in love with the person. Somehow, simply hugging each other was producing an effect more pronounced than either of us had expected. Here's my theory, which I invite Dr. Schwartz or anyone else to test: The electrical signals produced by hearts are complex and as unique as fingerprints. I'm guessing that, somewhere in the world, there may be one or two individuals whose heart rhythms are so harmonically compatible with yours that, should you find yourself close to that person, the interacting biomagnetic fields cause each of your hearts to skip a beat, to pound, with butterflies flitting around your stomachs and the other effects we've come to associate with falling in love. I'm not saying there isn't also a spiritual/karmic attraction. But metaphysical realities are generally mirrored in the physical reality that arises from them. So, forget arranged marriages, practical marriages, marriages-of-convenience and companionate marriages. Hold out for the one who makes your heart pound and your breath gasp. You may have to hug a lot of people before you find the one whose heart is magnetically in harmony with yours. But, trust me—it's worth it.